Yes, as a freelancer, your probably have a LinkedIn profile and/or website to which you can direct prospective clients. However, many clients will still ask for your resume – which means the document still matters. That means you need to make sure your resume is professional, well-thought-out, and able to accomplish its goal: get you a meeting with a potential client. If those meetings aren’t rolling in, then your resume may need a little work. What’s Wrong With My Freelance Resume? As a global career coach, I see one resume problem more often than the others: Your resume includes everything but the kitchen sink, when it should really be focused on your unique selling point (USP). Your USP addresses the problems your clients face and how you can solve those problems through your freelance services. Another way to think about this is to consider yourself a business. You’re not selling yourself as a new employee, but as a commodity – as a service that your client needs. When you book a hotel room online, you check out the hotel’s website, browse the gallery room photos, and read the reviews from other guests. Clients will want to do the same when they’re considering hiring you as a freelancer. Your resume is like those hotel reviews – it should tell your clients what they need to know before they book you, so to speak. The content of your resume is key. Focus not on your past responsibilities, but on the results you have achieved. Highlight why you are exceptional. You should also include at least one great testimonial from a past employer, colleague, or client. You also need to think about the way you present the information in your resume. I suggest having two different resumes: one standard, black-and-white, “robot-friendly” version, and one “creative” resume. Most organizations today use applicant tracking systems (ATSs) to automate their recruiting operations. An ATS works by searching resumes for keywords; those that contain the right keywords get through to the next round of the process. Your robot-friendly resume should be designed with the ATS in mind. The style should be plain and uncomplicated, and the focus should be on including the right keywords. You should only use the robot-friendly version of your resume when you are sending it to a large organization or a recruitment agency. If your prospective client is likely to have an ATS, then you’ll use your robot-friendly resume. The creative resume, on the other hand, is sent directly to the human beings making the hiring decisions. It isn’t designed to pass an ATS, so it can be more stylistically eye-catching. You can use colors or even a photograph of yourself, if you wish. (Note: Photographs on resumes are still largely frowned upon in the US, so US-based freelancers should proceed with caution here.) 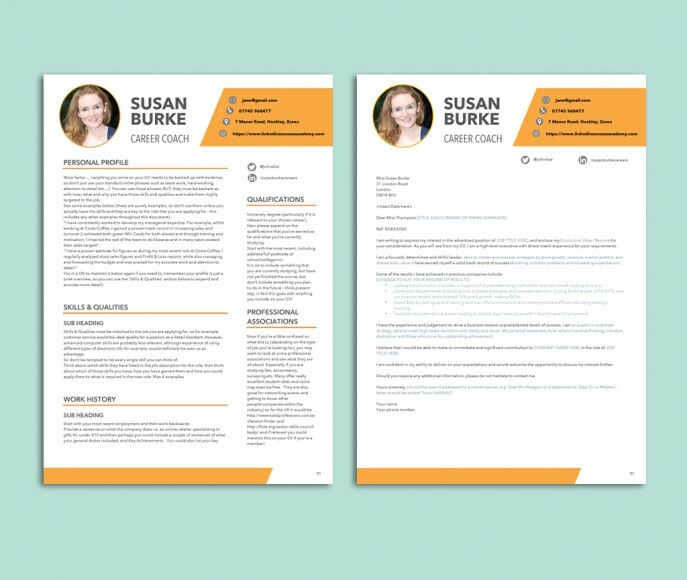 Your creative resume should be designed to stand out – while still conveying the necessary information and containing the right keywords, of course! On the left, a creative resume; on the right, a robot-friendly resume. No matter what version of your resume you send or how good your resume is, you may get stuck at HR. 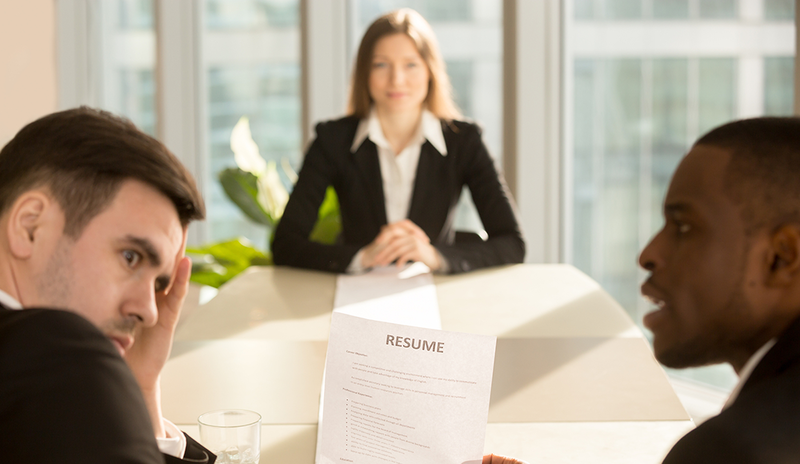 For a number of reasons, on-spec resumes can remain on a desk in the HR department instead of ever getting to the person who has the problem you can solve. This is where the cover letter comes in. I call it a “show and tell” letter because it shows the hiring manager you understand their problem and it tells them exactly how you can solve that problem. Addressing your letter directly to the hiring manager should help you bypass HR, and it will allow you to hit a nerve – right where the problem needs fixing!